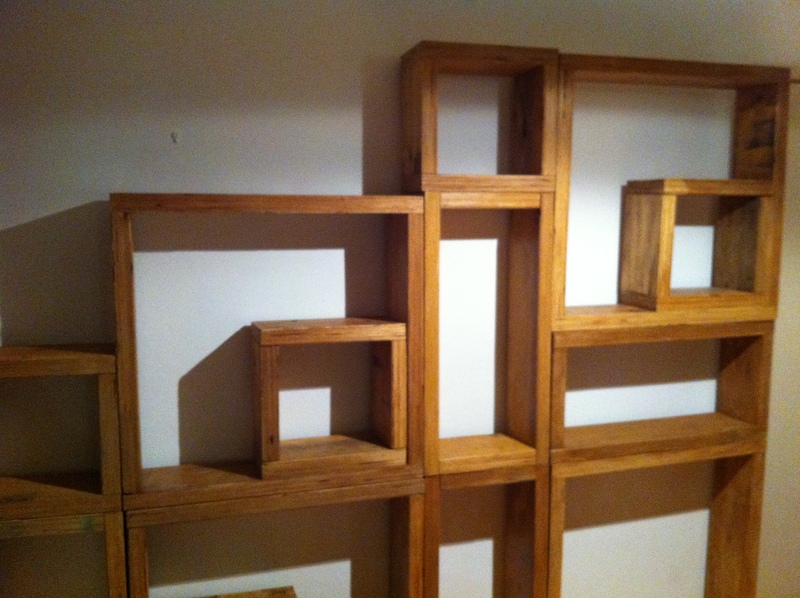 New Zarley Movers shelving unit, Tables and more…. Who says it’s cold out when you got a fire heating up! 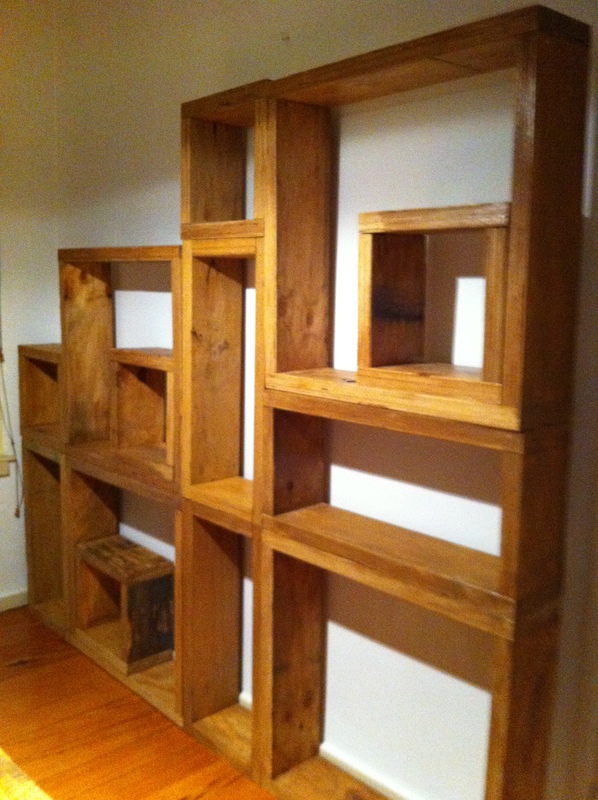 These are the new Zarley bookshelves that have just been built. The are extremely solid and strong and have a width of 50 mm! They are awesome. They can be moved around for easy transport and to rearrange your unit to if you get tired of your original setup. They consist of 14 boxes at different sizes that make up the unit. 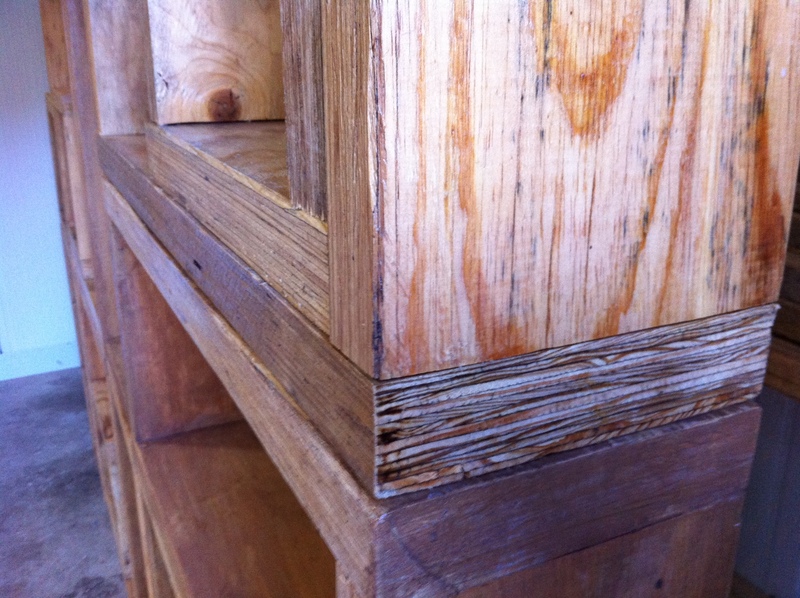 Rustic Oregon wash finish with clear satin polyurethane protection finish out the job. Big shout out to Matt of Zarley Design, who came up with the design. We can make the same arrangement or different sizes at for your needs. Bring some life to your walls! Look around and see similar units (in the collingwood area) at close to 3k. This one goes for $1700. More affordable units with different material are available, just inquire and well be happy to help. 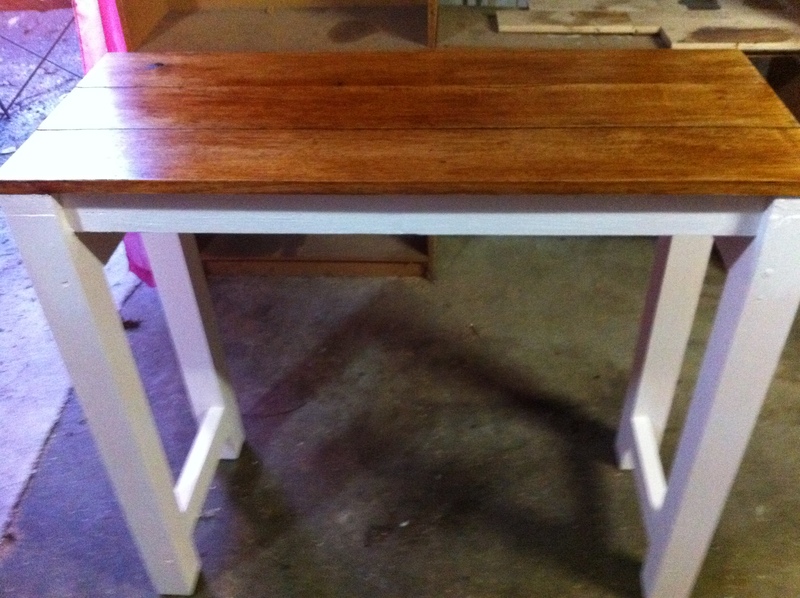 Some more custom tables and desks – this one is a Country High Desk. 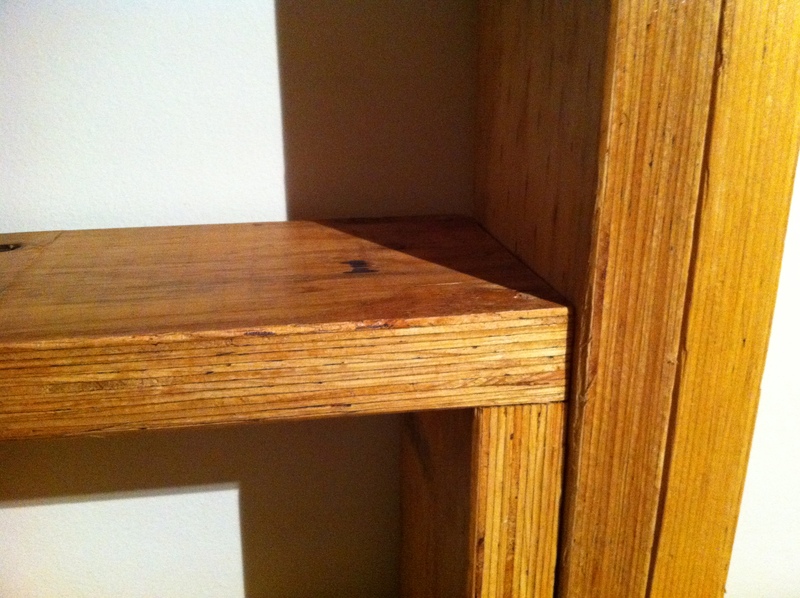 90 cm high by 100 cm long by 40 cm wide. 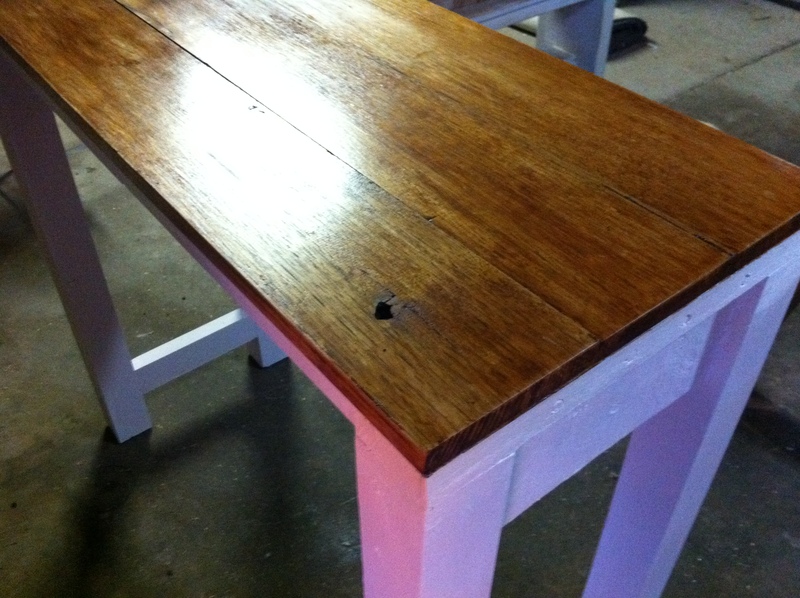 Very simple clean design, hardwood tops with a cherry satin finish that brings out a nice golden luster to the wood. This was done as per the customers specs and delivered interstate. It followed an original style that the client already had and wanted to follow as close as possible.